This is a brand new load of Haworth Premise. 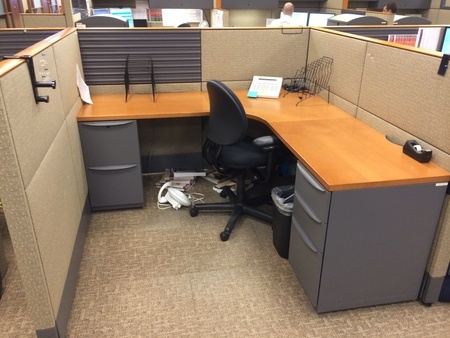 These pre-owned cubicles are 6X6 and 48″ tall. Each office cubicle is powered along the spine wall. Each workstation comes with one box box file, one file file and paper management. These used cubicles have upgraded fabric and trim and can ship in qtys of 10 or more. Chat online today for a free quote.